the promise he made for a thousand generations. 24:13 Now on that same day two of them were going to a village called Emmaus, about seven miles from Jerusalem, 14 and talking with each other about all these things that had happened. 15 While they were talking and discussing, Jesus himself came near and went with them, 16 but their eyes were kept from recognizing him. 17 And he said to them, “What are you discussing with each other while you walk along?” They stood still, looking sad. 18 Then one of them, whose name was Cleopas, answered him, “Are you the only stranger in Jerusalem who does not know the things that have taken place there in these days?” 19 He asked them, “What things?” They replied, “The things about Jesus of Nazareth, who was a prophet mighty in deed and word before God and all the people, 20 and how our chief priests and leaders handed him over to be condemned to death and crucified him. 21 But we had hoped that he was the one to redeem Israel. Yes, and besides all this, it is now the third day since these things took place. 22 Moreover, some women of our group astounded us. They were at the tomb early this morning, 23 and when they did not find his body there, they came back and told us that they had indeed seen a vision of angels who said that he was alive. 24 Some of those who were with us went to the tomb and found it just as the women had said; but they did not see him.” 25 Then he said to them, “Oh, how foolish you are, and how slow of heart to believe all that the prophets have declared! 26 Was it not necessary that the Messiah should suffer these things and then enter into his glory?” 27 Then beginning with Moses and all the prophets, he interpreted to them the things about himself in all the scriptures. 28 As they came near the village to which they were going, he walked ahead as if he were going on. 29 But they urged him strongly, saying, “Stay with us, because it is almost evening and the day is now nearly over.” So he went in to stay with them. 30 When he was at the table with them, he took bread, blessed and broke it, and gave it to them. 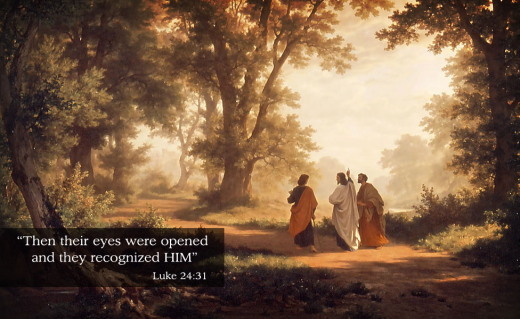 31 Then their eyes were opened, and they recognized him; and he vanished from their sight. 32 They said to each other, “Were not our hearts burning within us while he was talking to us on the road, while he was opening the scriptures to us?” 33 That same hour they got up and returned to Jerusalem; and they found the eleven and their companions gathered together. 34 They were saying, “The Lord has risen indeed, and he has appeared to Simon!” 35 Then they told what had happened on the road, and how he had been made known to them in the breaking of the bread. Then their eyes were opened, and they recognized him. Lord, I thank You that You are the God of the impossible. You can do anything. I want to trust in Your ability and not my own. Teach me to see difficulties in my life from Your perspective. Help me to focus on You and Your power. I want to be like Joshua and Caleb who believed in a good report and focused on You even in hard circumstances. My responsibility is to carefully read, trust, and obey Your Word. Today I bring before You this difficulty in my life [Name a hard situation you are right now facing]. Help me not to fear but to trust You in this situation. I declare my faith in Your ability to fulfill Your promises to me. You will fight for me and win the battles in my life. You are mighty, powerful, righteous and true. Psalm 9:10 (NIV) Those who know your name trust in you, for you, Lord, have never forsaken those who seek you. On the tenth day of the first month the people went up from the Jordan and camped at Gilgal on the eastern border of Jericho. The day of reckoning had come for Jericho. The inhabitants of the city were very wicked people, and they deserved judgment. History tells us the Canaanites used their children as prostitutes for false gods and even sacrificed their children on pagan altars. They were into every kind of idolatry, perversion, and sin. This evil had gone on for years and years, and God had patiently endured it, from the time of Abraham to Moses—a period of four hundred years. The people of Jericho had plenty of time to repent, because they knew the Israelites were coming. When the spies met Rahab, she said, “We have heard how the Lord dried up the water of the Red Sea[a] for you when you came out of Egypt, and what you did to Sihon and Og, the two kings of the Amorites east of the Jordan, whom you completely destroyed. 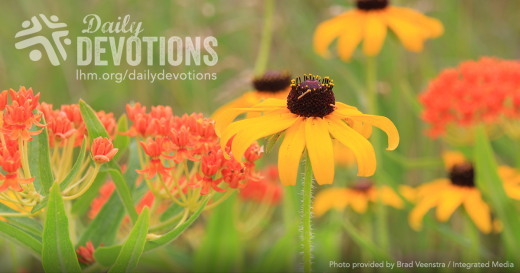 When we heard of it, our hearts melted in fear and everyone’s courage failed because of you, for the Lord your God is God in heaven above and on the earth below.” (Joshua 2:10–11). These people knew about the miracles God had done for Israel, yet they continued in their hardness of heart. Then came the Israelites, marching around their city day after day. The Canaanites easily could have said, “Judgment day is here! We repent! Come into our city—we want to serve your God!” Instead, they probably laughed at the Israelites. They probably dumped garbage on them. But when the last day came, Israel blew their ram’s horns and gave their shouts, and the walls of Jericho collapsed. 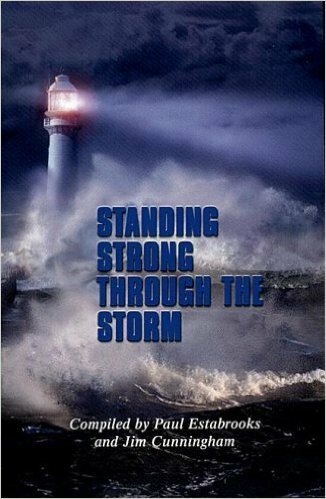 Like the people of Israel, you can overcome the insurmountable. Just do what God tells you to do, and trust Him. There is no illness He can’t heal. There is no need He can’t meet. There is no problem He can’t resolve. And there is no person He can’t save. Just trust Him. Lord, I thank You that You are the God of the impossible. You can do anything. I want to trust in Your ability and not my own. Teach me to see difficulties in my life from Your perspective. Help me to focus on You and Your power. I want to be like Joshua and Caleb who believed in a good report and focused on You even in hard circumstances. 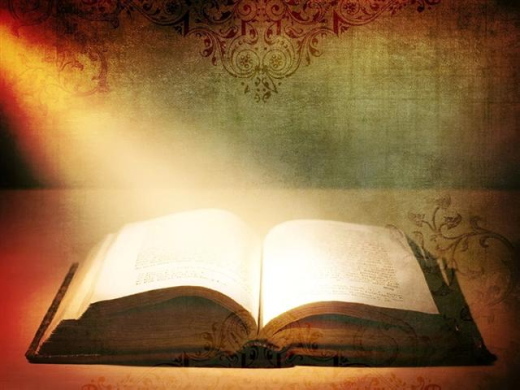 My responsibility is to carefully read, trust, and obey Your Word. Today I bring before You this difficulty in my life [Name a hard situation you are right now facing]. Help me not to fear but to trust You in this situation. I declare my faith in Your ability to fulfill Your promises to me. You will fight for me and win the battles in my life. You are mighty, powerful, righteous and true. Amen. Facing the impossible? There is no problem God can't resolve. Girlfriends in God - Which One Are You? The words of Jesus pack a punch. His is a powerful and vibrant dialog that brings both tradition and the Law into a new and living light. He taught the “beatitudes” (Matthew 5:2-12), and told His followers to be “salt and light” (Matthew 5:13-16). I read this and am freshly reminded: all this stuff Jesus told you and me about how to behave and how to believe? If we do it, if we will put these things into practice, then we build our lives on a wise foundation. If, however, we don’t do these things, then we are foolish. Where are you in this? Rock or sand? Wise or foolish? Do you or don’t you? It’s not hard to understand what Jesus meant here. It is hard to put it all into practice. And can’t be done without His help. If I don’t choose to live responsively to His teachings, then I am, by default, choosing to live as a fool. So when I know that Jesus says I shouldn’t point out the speck in someone else’s eye before taking the log out of mine - and I do it anyway - I live as a fool. And when I choose to let worry and anxiety take up huge lots of real estate in my heart instead of trusting God and allowing His peace to comfort me - I live as a fool. Jesus talked straight about this. When His followers hear His words (this means we need to read the Bible and know what His words are!) and put them into practice we will not only live as wise people, but that wisdom becomes our firm foundation. 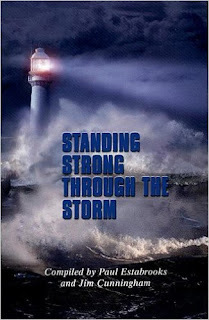 A foundation that protects and provides for us when the winds of life blow hard and when the rains of life fall. Dear Lord, Thank You for the gracious way you instruct me toward life, wisdom, and a solid foundation. Please me far from foolishness, and help me to live out Your ways in my workplace, with my family, and in my community. Read Matthew 5-7 and consider where you are with the teachings of Jesus. Take note of areas that He might be calling you to change. Ask Him to give you the grace, strength, and wisdom to live out those changes. And if Christ has not been raised, your faith is futile and you are still in your sins. Then those also who have fallen asleep in Christ have perished. If in Christ we have hope in this life only, we are of all people most to be pitied. But in fact Christ has been raised from the dead, the firstfruits of those who have fallen asleep. We live in a world where cynics and skeptics maintain that the Bible is a myth, to be believed only by children who are weak-minded and wide-eyed. We live in a time when many stumble over the barriers built by their intellect and are convinced that Christ is a con, the crucifixion a cruel, cosmic hoax -- and the final judgment a joke. It is a sad thing that these doubters never really look at the many proofs of the resurrection. They never consider the terrible deaths of many of the apostles and close followers of Jesus. My friends, do you think these disciples would have been martyred, holding fast to the preaching of a prank? Do you think these cowering, cringing cowards of Good Friday could have been turned into lions for the Lord if they had not believed in a risen Redeemer? They knew and armed with knowledge of a living Lord they went into all the world and proclaimed, "Christ is risen!" Under the city of Rome, there are over 600 miles of catacombs. Six hundred miles of graves cut into the rock. In these alcoves, a great many generations of the dead have been laid to rest. Believer lies next to unbeliever. Take a look into the Christian graves. Their skeletons tell terrible tales: heads severed from bodies, ribs and shoulder blades broken, bones calcified from fire. Despite the awful sufferings they endured, the inscriptions on those Christian tombs shout of victory and triumph. One resting spot says, "Here lies Marcia, put to rest in peace." Another says, "Lawrence, borne away by angels." Yet another reads, "Being called away, he went in peace." Now I would like you to contrast those graves with the tombs of those which hold remains of the unbelievers. Without faith in the risen Lord, they painfully warn: "Live for the present hour, since you can be sure of nothing else." Another bitterly states, "I lift my hands against the gods who killed me at the age of twenty." And yet another resting spot shows no hope when it says, "Traveler, do not curse me as you pass. I am in darkness and cannot answer." What can give hope where once there had been horror, joy where once there had been judgment, peace where once there had been poison? Simply this: Christ is risen! That is the message which was shared in countless pulpits last Sunday. It is the joyful proclamation which has been shared for 20 centuries. Christ is risen! That is the truth the Spirit uses to bring you from darkness into light, from horror to hope, from hell to heaven. 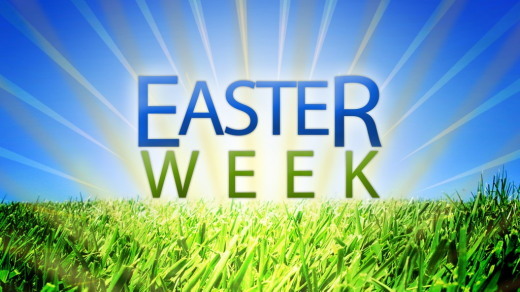 Christ is risen in this world, and now He wants to rise in the hearts of every man, woman, and child in this world. Christ is risen! That is the message of Lutheran Hour Ministries, and the entire church proudly proclaims as we bring Christ to the Nations and the Nations to the Church. THE PRAYER: Dear Lord, I give thanks for those people who were inspired by the Holy Spirit to write the words of Jesus' resurrection victory. I also give thanks for those many martyrs and witnesses who proclaimed the risen Redeemer with their lives. I join with all of them and give thanks in the Savior's Name. Amen. We live in a world where cynics and skeptics maintain that the Bible is a myth, to be believed only by children who are weak-minded and wide-eyed. Devocional del CPTLN de 04 de Abril de 2018 - ¿Suerte? Dispersa con tus relámpagos a mis enemigos, lanza contra ellos tus dardos de fuego, y confúndelos. 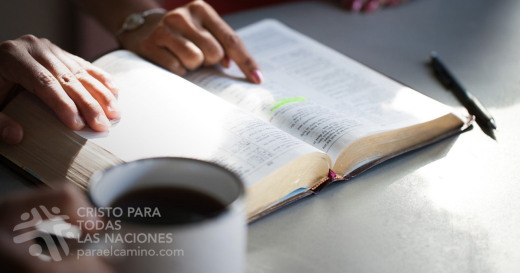 Traté de encontrar en la Biblia un texto que dijera algo así como que era bueno sobrevivir a un rayo, pero por más que busqué, no encontré nada. 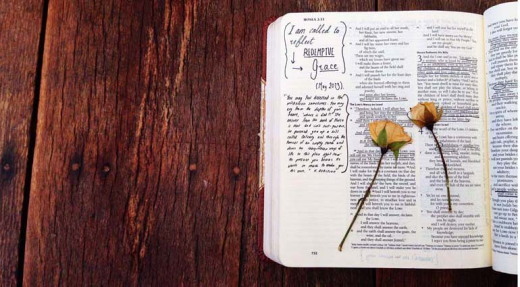 En la mayoría de los casos, la Biblia utiliza los rayos y relámpagos para demostrar el poder de Dios. A veces, como en el texto de hoy, Dios es invocado para que utilice su poder para atacar al enemigo, pero ningún texto dice que uno tiene "suerte" si es alcanzado por un rayo. "Suerte" fue lo que un canal de noticias dijo que tuvo BreAnna, una joven de 16 años quien, durante una tormenta eléctrica, fue a la cocina de su casa a cerrar la ventana que estaba abierta y mientras lo hacía fue alcanzada por un rayo. BreAnna cuenta que vio cómo la electricidad le salió por los dedos y fue a parar a las luces del techo, haciendo saltar los fusibles de toda la casa. Por más que no sé mucho del tema, si de hablar de "suerte" se tratara, o mejor dicho, de la protección y providencia de Dios, diría que la persona realmente bendecida es la que NO es alcanzada por un rayo. Por lo menos eso tiene más sentido. Es normal que sienta que Dios me sonríe cuando salgo vivo de un accidente, pero ¿no debería sentirme aún más especial por todas las veces que Dios ha evitado que tuviera accidentes? También es obvio que me sentiré agradecido si me curo de una enfermedad, pero ¿no debería ser más agradecido aún por todos los días que mi cuerpo ha vivido sin que le haya siquiera prestado atención? Demasiado a menudo necesitamos lo malo, lo triste, lo problemático y lo terrible, para recordar las innumerables bendiciones que Dios ha derramado sobre nosotros. El Padre envió a su Hijo a vivir, morir y resucitar por nosotros para que podamos vivir para siempre en el paraíso. Por la gracia de Dios, y a través del sacrificio del Salvador, hemos esquivado la bala de la condenación. Y esa es la razón por la cual, especialmente hoy, le aliento a que dé gracias por el rayo que no lo ha alcanzado, las caries que no ha tenido que curar, el hambre que no ha sentido, las plagas y pestilencias que nunca han venido. Hoy, y siempre, dé gracias por tener un Dios bueno que quiere lo mejor para sus hijos. Tiago escreveu: “Se […] algum de vós necessita de sabedoria, peça-a a Deus, que a todos dá liberalmente e nada lhes impropera: e ser-lhe-á concedida” (1:5). E afirma que essa sabedoria é cultivada no solo da dificuldade (vv.2-4), pois ali não só aprendemos da sabedoria de Deus, mas descansamos em Sua graça (2 Coríntios 12:9). Nos momentos mais sombrios da vida, encontramos o que precisamos nele. As trevas das provações só fazem a graça de Deus resplandecer ainda mais. Mesmo em nosso sono, uma dor inesquecível goteja sobre o coração até que, em nosso próprio desespero, contra a nossa vontade, vem a sabedoria por meio da formidável graça de Deus.